October is ‘Breast Cancer Awareness Month’. During October we hear a lot of different people encouraging women to get mammograms. Have you ever wondered why men aren’t pushed to get mammograms? They are just as susceptible to breast cancer as women are. I think the industry realize that they aren’t going to be able to manipulate them into getting their chest tissue mashed and twisted the way women are. Are mammograms a good idea for men or women? Let’s take a look at the technology. Mammograms are basically x-rays. X-rays are radiation. Radiation accumulates in the body. Radiation causes cancer. You get enough radiation in the body you will get cancer, unless you die of radiation poisoning first. It is estimated that 75% of all breast cancers are caused by radiation. Advertisements claim that mammograms save lives. Studies are showing that there are equal amounts of false negatives as there are false positives. A false negative would convince someone they are safe. They would then be less concerned about other symptoms of breast cancer such as lumps, heat or redness. Even dimpling of the breast could be a sign that something is wrong, but if you are told it is nothing you will ignore it. A false positive mean someone would seek treatment when they don’t need to. Breast cancer treatment usually includes surgery, chemotherapy and possibly radiation. All leave lasting impacts, sometimes deadly, on the body. The fear of having cancer causes extreme stress that can have lasting effects on the person and their loved ones. There is evidence that the stress and further testing from a false positive greatly increases your risk of future breast cancer. Half of women have breast tissue that is too dense for a mammogram to show anything useful. Yet, these women are still encouraged to get regular mammograms to ‘protect’ them from cancer. There are some states that are trying to legislate that these women be informed that the mammograms will not do them any good, and may cause eventual harm. Mammograms, if they worked, do not prevent breast cancer. At best they inform the person that they have the disease. There are other, less harmful, ways to detect breast cancer. Self-exams are the least invasive, followed by thermography. 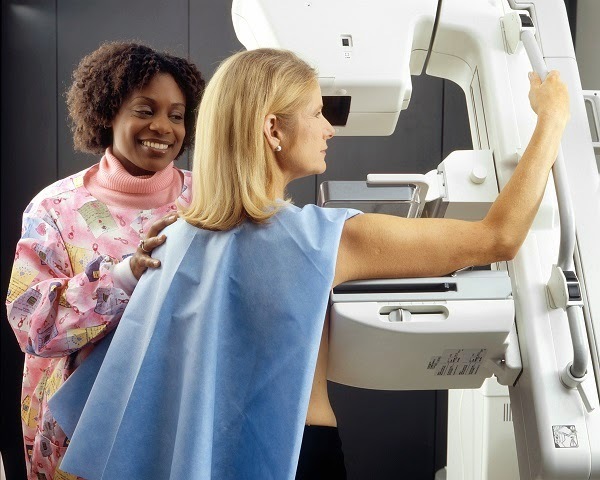 Self-exams can detect a lump at half the size that a mammogram can. Thermography can detect it as small as a few cells. Cancer cells give off a lot of heat. Thermography is a simple heat sensitive picture from the outside of the body. The biggest problem with thermography is that insurance companies don’t cover it. Preventing cancer of any type comes down to lifestyle. Sugar, whether artificial or natural is a known cancer causing agent. So are artificial food colors and preservatives. Eating an all-natural, organic diet is the best known prevention. So is getting some form of mild exercise every day. More intense exercise is even better, unless you overdo it. Including some fermented foods is also very helpful. So is getting sunshine on a regular basis. In short, everything you ought to do to live an active and healthy lifestyle is going to decrease your chances of developing cancer. Isn’t that what prevention is all about?